Is your cellar mature in value as well as flavour? Wine is being touted as an alternative investment, as the new global elite look to new places to store their wealth. But does this mean a rosy future for wines or just a bubble that could burst, like any other asset class? The Liv-Ex 100, is a London-based international wine index that tracks the prices of around 70 big wine brands. The index has been soaring upwards in the last 5 years. Since 2001 it is up over 165%. The market has been hot, but it has pulled back somewhat in the last year. Baroness Rothschild is head of one of the world's most famous wine estates. In June last year, the 72-year-old owner of Chateau Mouton Rothschild felt compelled to remind the world that wine is meant for drinking, not as 'a speculative investment'. Some collectors, use wine as a show of their social status, however most see it as a good long term investment. Wine has been a status symbol for centuries. At Roman banquets, different qualities of wine were given to people depending on their social standing. Whereas 2,000 years ago it was shown off in ancient Egypt, nowadays it is in Moscow and Shanghai that the best wines are on display. In the cellars of the richest Russians and Chinese, you are far more likely to find a Chateau Latour or Chateux Mouton Rothschild wine, than you are a bust of Joseph Stalin or Chairman Mao. The wine funds launched in the last few years, include London's Fine Wine Fund and the Wine Investment Fund. Between them, these two funds have decanted more than US$170 million into the market. Investors in the Wine Investment fund must pay a 20% fee on any profits and, on top of that, a 1.5% annual management fee. Investors must make a commitment of U$10,000 investment for five years. But despite the costs, the funds mean that those who want to invest in wine no longer need the expertise to buy the right kind of wines or the cellars to store it. The expansion in the investment wine market has made it more volatile. That has become evident in the last year when the Liv-ex has experienced the first sustained falls in more than three years. Seasonal factors certainly play a part, but the credit crunch has contributed. The buyers have not disappeared. But, the sellers seem to have a greater urgency, recently. Despite the falls, wine - particularly those regarded traditionally as the finest wines are hardly sitting at bargain prices. They have retained their value regardless of the recession. A case of a good French vintage first growth will set you back about £8,000. Only a few years ago, it could be picked up for half that price. Over the medium to longer term wines can be a good investment and give investors diversification away from traditional stocks and shares. How do you value a 'classic' vintage? In 1855, the French held an international exhibition, the Exposition Universelle, where they aimed to show off the best qualities and produce of the French nation. Hence was born the '1855 Classification System'. This looked at the quality of a wine in terms of its selling price and the reputation of the Chateau that produced it. There were five ranks, going from first growth to fifth growth. These remain to this day the 'blue chip' French wines favoured by investors. These five, together make up 63.2% of the Liv-Ex index weighting. But because the 1855 system remains pretty much unchanged to this day, it is heavily criticised by many in the wine industry. Robert Parker is considered by many, to be the world's most influential wine critic. He describes the 1855 system as an historical legacy, which should be viewed in that context only. Parker developed his own ranking system, called 'Parker points'. Marking wines out of 100. A wine's fortunes can rise or fall depending entirely on Parker's opinion of it. "These external variables can result in volatility, which should be considered when making any investment in vintage wines". In exploring some of the "New World" premium wines, potential investors have discovered a wide range of good investment class wines. This rise in standard of many of these wines, have allowed investors to introduce these wines to their investment cellars. Many new world wine makers have travelled and worked extensively, in the various old world regions before settling to produce in their new world locations. Craft, history and art are blended thoughtfully into the establishment of a new world winery, using the skills, techniques and knowledge gleaned during their journey. It is possible to enjoy and invest, in both old and new world wines and by doing so, your portfolio will benefit from the increased diversity. New world wines refer to wines grown outside the traditional old wine growing areas of Europe. Mainly these refer to Argentina, Australia, Canada, Chile, New Zealand, South Africa, Mexico and the United States. Most of the new world wine countries have long histories involving wine production. Although each has developed differently, the heritage of most follow similar patterns - with the introduction of winemaking traditions via migrants from Europe. By way of example, we have chosen to use the Barossa Valley in South Australia to show the history and achievements within New World Wines. The Barossa Valley in South Australia presents one of the finest examples of the history and wine heritage of a new world wine region. The Barossa Valley is located approximately one hours drive from Adelaide in South Australia. In the 1830’s this area was named after the Spanish town of Barrossa, which over the years became misspelt to Barossa. The area was settled extensively by Silesian migrants, approximately 160 years ago. Silesia was then part of Germany but is now part of Poland. These ordered and hard working people tried to create a replica of their old homeland in this new world by planting vineyards. Several of those original vineyards still remain in the hands of the same families even today. A few of these vineyards continue to produce grapes, in some cases with yields as low as one tonne per hectare. From them are grown some of the most highly prized Shiraz grapes in the world. Some of the Barossa’s vines are over 100 years old. These grapes go into some of the most expensive and coveted wines such as Penfold’s Grange, Henschke’s Hill of Grace and Torbreck's Runrig. Although the Silesian migrants are most associated with the Barossa, it was an early English pioneer Joseph Gilbert who is believed to have planted the first vines at Pewsey Vale in 1841. William Salter bought land at Angaston in 1844 and planted Mamre Brook vineyard from which the Saltram Estate was born. Johann Gramp and his son Gustav laid the foundations of Orlando in 1847 at Rowland Flat. Samuel Smith was another pioneer, this time an English landowner, who also played a pivotal role in the Barossa by planting vines in 1849. He named his property Yalumba which is an aboriginal word meaning ‘the land all around’. Yalumba is still in the possession of the Hill-Smith family today and is the largest family owned winery in Australia. William Jacob was another Englishman. His name was given to Jacob’s Creek where he planted vines in the early 1850’s. The Silesian migrant Joseph Seppelt, yet another pioneer who arrived in the Barossa in 1852, went on to establish Seppeltsfield. The Barossa is made up of four small towns, Angaston, Lyndoch, Nuriootpa and Tanunda and a collection of tiny hamlets, Bethany, Eden Valley, Greenock, Springton and Williamstown. To give you an idea of the size and scope of the Barossa wine industry, here are a few names that you may be familiar with: Penfolds, Henschke, Torbrek, Yalumba, Grant Burge, Jacobs’s Creek, Peter Lehmann, Two Hands and Wolf Blass. 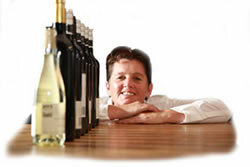 Australia has become well known internationally for its excellent quality table wines. But it is has gradually extended its reach into some of the worlds respected premium wines. Investors and collectors are already aware of the flagships, Penfold's Grange, Henschke’s Hill of Grace and Torbrek's Runrig, which have developed international standing as premium class wines. For investors, perhaps Tobreck's Runrig is one to keep your eye on!